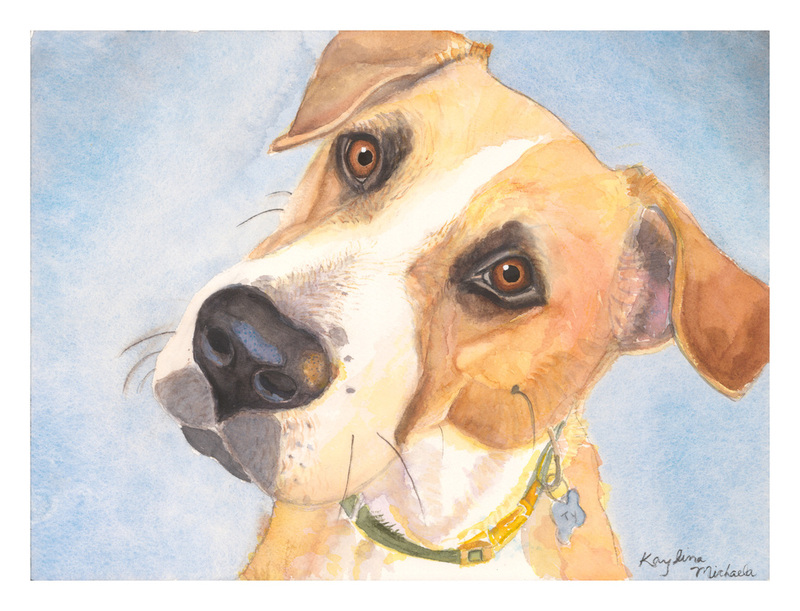 Pet Portraits painted with love! 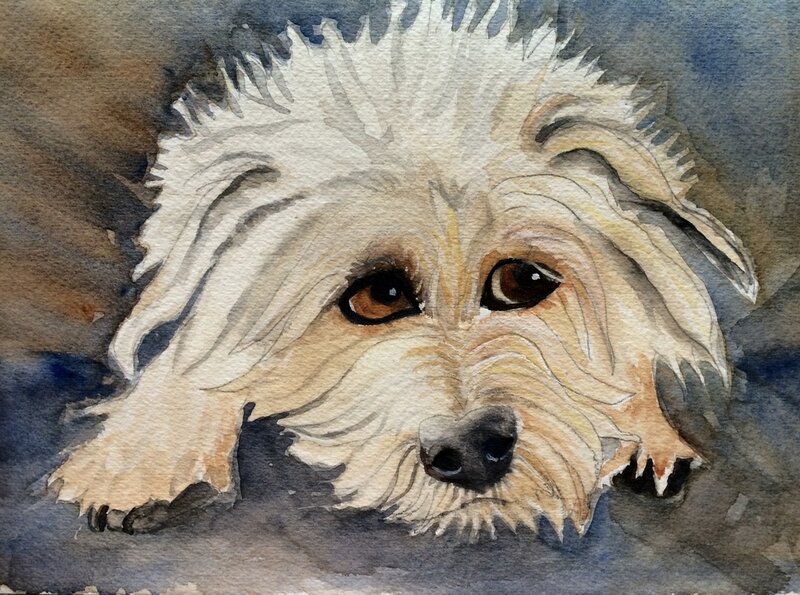 In addition to Intuitive Painting, one of my greatest joys is to paint pet portraits. I am amazed at how unique and beautiful each dog or cat is. I like to sketch one of my dogs or cats each morning for at least 5 minutes. They love to lie near me during my meditation and I find that sketching them is so meditative. 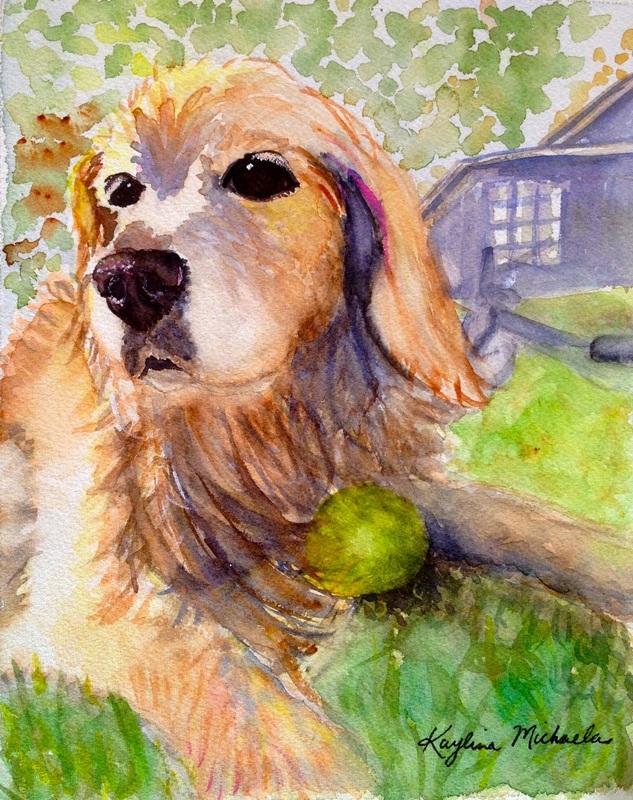 And so my love for sketching and painting pets was born. 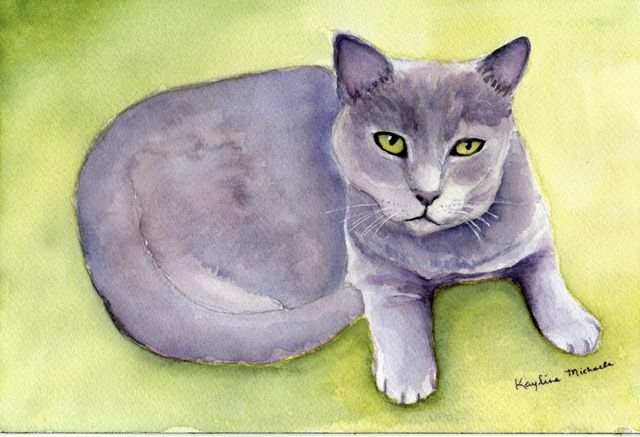 I say a prayer that the animal's Spirit or Angel guide me in the painting. I have been told that I have a special talent for capturing a pet's Spirit. 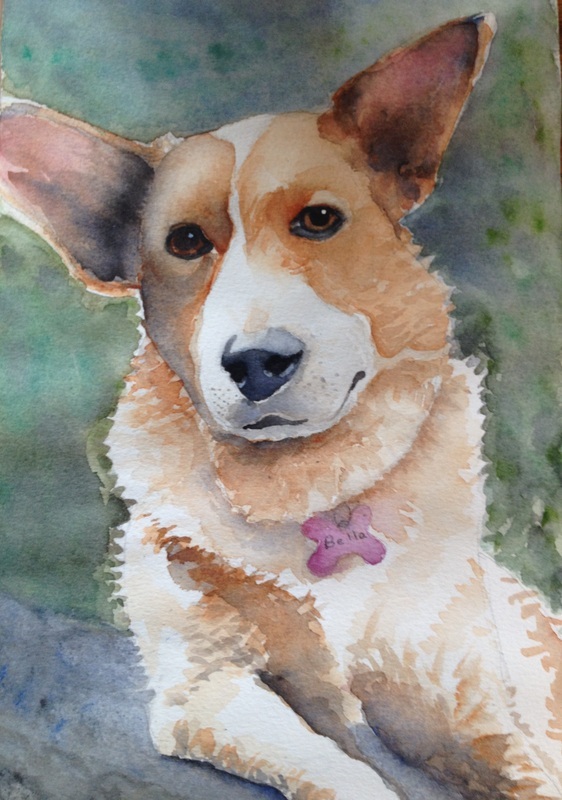 To set up a commission I need a few pictures of your pet and the better the pictures the better the painting. 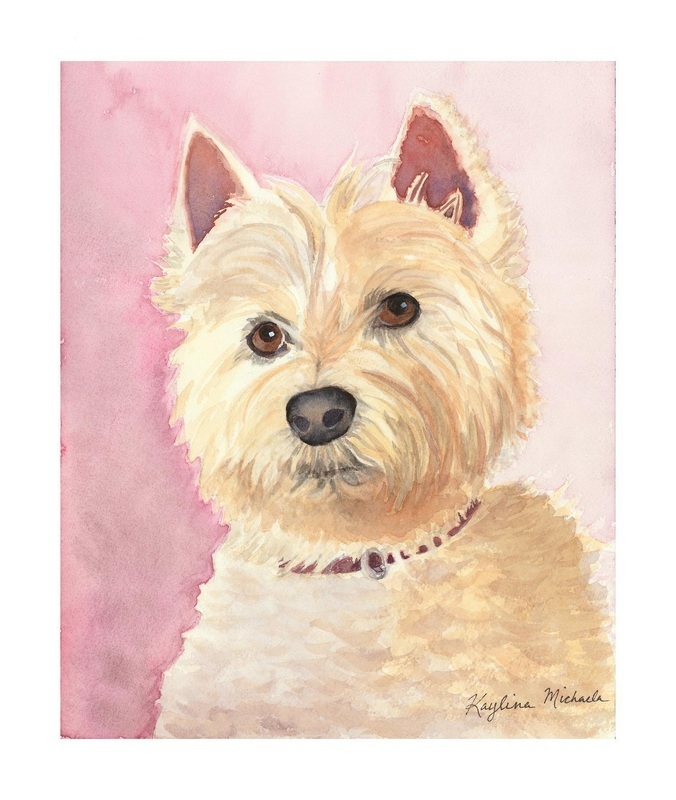 I typically do 9 " by 12" water color portraits on high quality Arches water color paper. The fee is $200 for one pet. 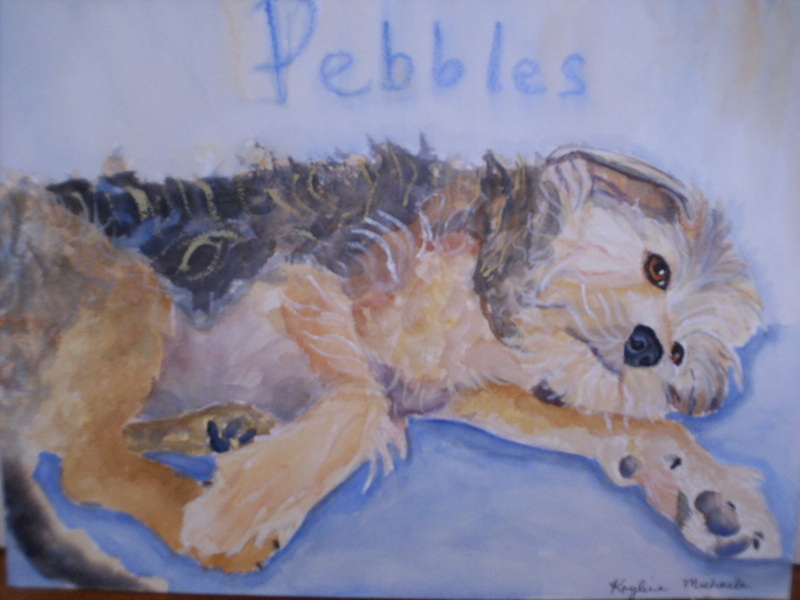 $300 for two pets in the same painting. Please call me at 828-252-4828 or email at justpaint@sacredspacepainting.com to schedule a commission. I look forward to hearing from you!